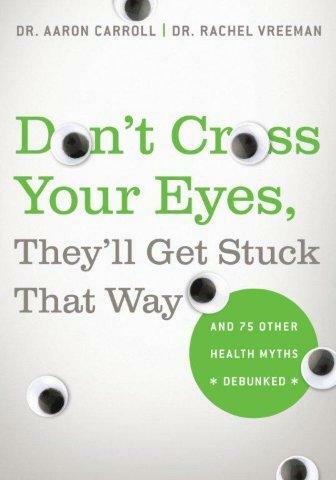 If we are going to look at physicians and practices, we also need to look at patients. As the consumers of the health care system (and ultimately the funders) they should have some say in the matter. Telephone survey: representative samples of adults ages 18 and older in Australia, Canada, Germany, the Netherlands, New Zealand, the United Kingdom, and the United States. Final samples: 1,009 Australia, 3,003 Canada, 1,407 Germany, 1,557 the Netherlands, 1,000 New Zealand, 1,434 United Kingdom, and 2,500 United States. Core topics: Access, Coordination, Patient-Centered Care, Chronic Care, and Safety. Basically, this is similar to their survey of physicians and practices that I discussed yesterday, but this time they surveyed random people, who could represent patients in the health care systems. This may seem like a small thing, but as anyone who has ever been to the doctor knows, it’s frustrating when they don’t know who you are and what your needs might be. 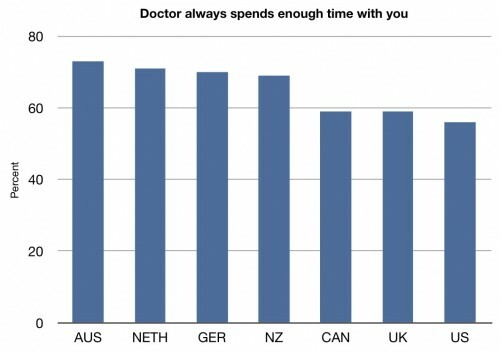 And fewer people report having that kind of relationship with their doctor in the US than any of the other measured countries. Again, this is subjective, but meaningful. People definitely see this as a measure of quality. We’re paying enough, and we get to see the doctor less than in other countries. You would hope that we get to spend enough time per visit, but that’s just not the case. Tied for last. Remember, these are individual patients reports, so it’s hard to spin these away as biased or unfair in some way. Let’s move onto more direct measures of quality. 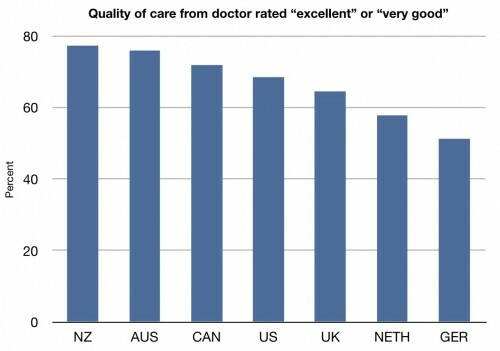 How do patients in each country rate the quality of care they receive from their doctors? Dead last. More patients in the United States felt like the health care system needed fundamental changes or to be completely rebuilt in the United States than in any of these other countries. 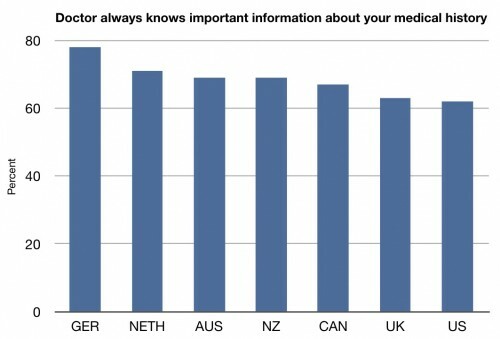 You will hear some say that people in the United States feel that they have the best health care system in the world. They may think that. But people in the United States don’t seem to understand how much better people in other countries feel about their systems. IMO this is that only measure of quality of those presented that matters. 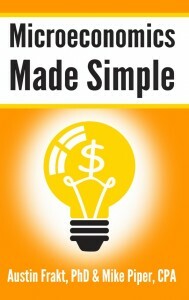 It suffers from subjectivity but the other measures of quality are of less value. Running some deltas might be good. Some of these scores might be helped in the USA if we made it a little easier to get a licensees and easier to use unlicensed employees to do most things. It appears that medical care beyond the basics has only small effects on health, so as long almost everyone gets the basics like vaccinations and antibiotics the the rest is subjective. It is more about keeping the patient/customer feeling good about the efforts he and the care givers are making. Remember Cost Ricans are almost as healthy as Americans with far less care and Americans with less that average access to care are often healthier than average. This is something that socialized medicine gives people. They all feel good, thinking that they are getting the same care rich, poor or whatever. 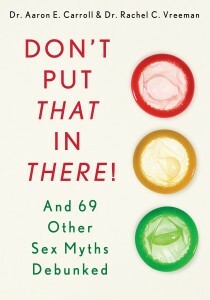 The evidence often shows that they are not but that is secondary. 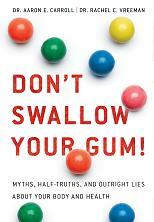 And BTW from what I heave read that outcomes are just as skewed by wealth in socialized systems as in the USA. 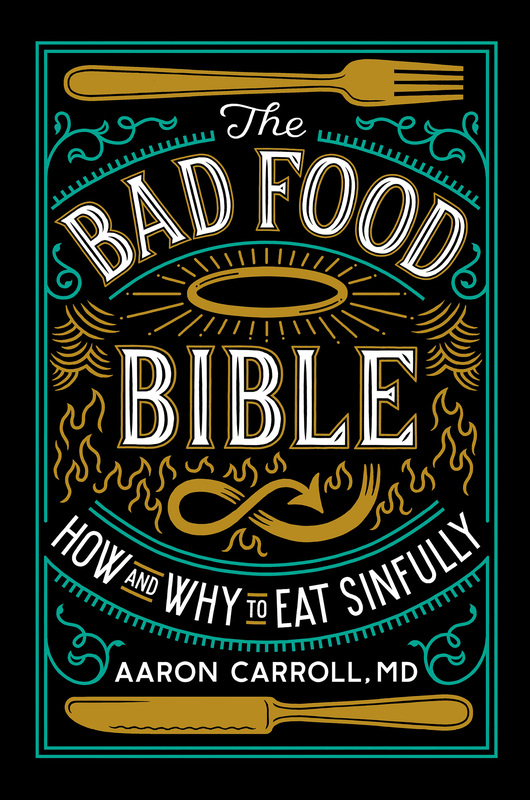 Is this true, especially part 2? In what metrics and what is the data source? @Floccina – I’m an EconTalk fan and have heard every episode (and written some posts about the show and some interviews). I cannot recall any details of that particular one with Hanson. 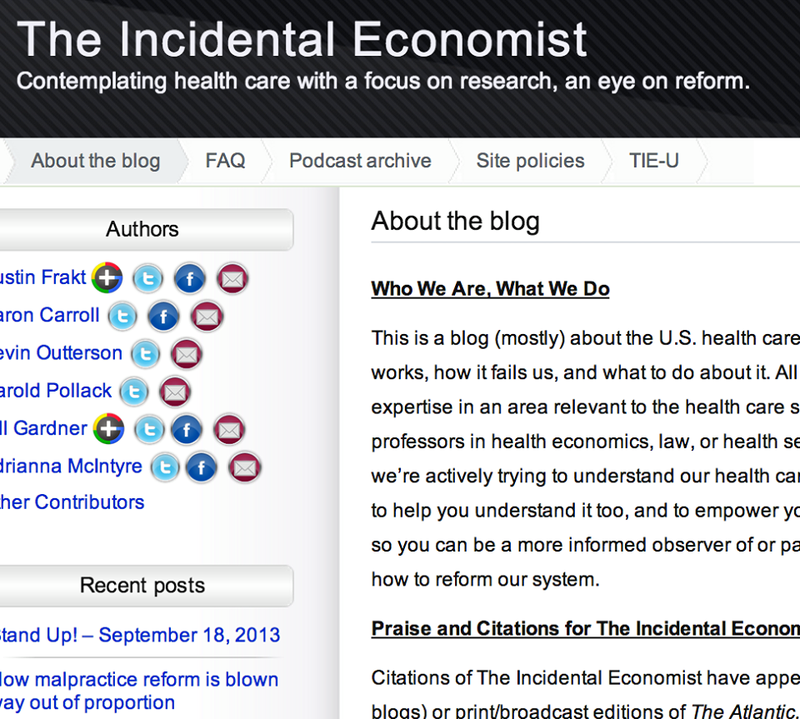 One thing I’d like to see (hear) is EconTalk episodes with actual health economists. There are some great ones in this country. None have been on the show. Maybe they don’t want to be, though it is hard to imagine Russ can’t rope in a single one, especially considering what’s just happened in health policy. 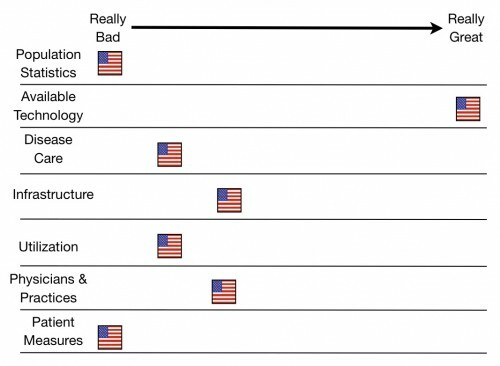 This collection of metrics is becoming quite revealing about where the US system places emphasis. 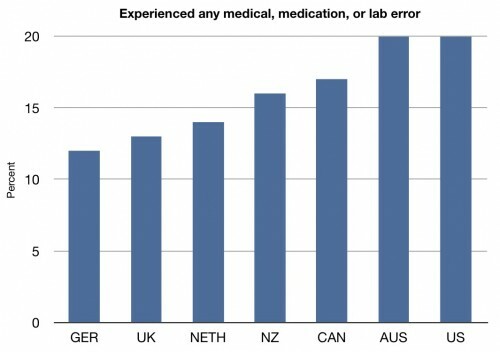 We seem to be substituting machines for physician diagnostic time at least compared to other countries. Whether diagnoses are more accurate or more likely just faster in the US is an interesting metric to consider. Regardless, the cost of spending less time with patients appears high. The high ratio of specialists to generalists in the US would support the notion of faster, machine driven diagnoses as well, given the incentive specialists have to allocate time to procedures rather than office visits. 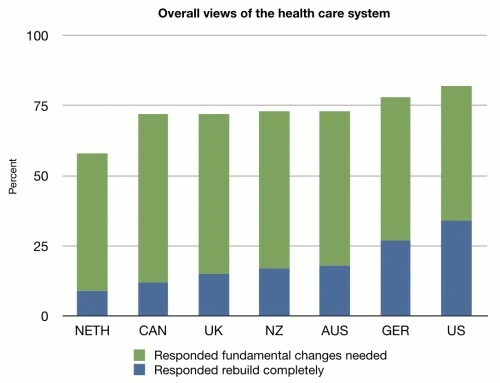 Well, according to this analysis ALL healthcare systems in the world are in need of fundamental change… Amazing!